Lots of work and an intermediate period of sickness that prevented me from looking at a screen has kept me away from EVE for two weeks. I didn’t even follow news, blogs, podcasts, devblogs, Twitter or Reddit which I usually work into my daily schedule of information processing. In all honesty, right at the point of writing this I don’t even know whether all my characters have active skill queues. This is a strangely unsettling but at the same time liberating feeling. After almost eight years, I’d consider myself a habitual EVE player, and like many others I had internalised a heightened response to the game and all it’s related aspects. There are many ways how this response expresses itself, but all of them involve staying ahead in the game, to always try and be the first in a perpetual race from one objective to the next. I have gained quite some distance from this after the few months I had previously taken a break, and I had become somewhat more unresponsive to some things. 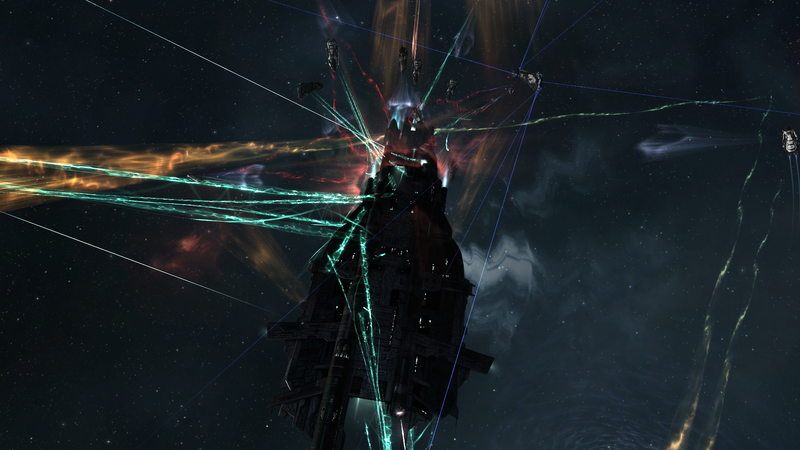 However, I got carried away again in a completely different EVE-related flow after rejoining, and it was no less captivating. Only now, after those two weeks of involuntary abstinence I realise how much my response was the same, even though it’s focus was completely different. This inspired me to reflect on some of those typical EVE-player response profiles. The Theorycrafters: Whether they work on concepts for fleet doctrines, alliance tournament teams or the perfect solo and small-gang setup, those players get triggered by changes in ship attributes or module functions. Every devblog, announcement, presentation or statement by CCP about a proposed change in combat related mechanics sets their minds in motion. The most dedicated of them will sift through the test server databases to gather numbers on ships and modules that have been introduced or changed. Next to the most up-to-date version of EFT and Pyfa they will definitely also have their own spreadsheets and programs which allow them to play with numbers that are either just proposed or were gathered from the test server. A high level of information security is also part of the more involved theorycrafter’s playstyle. The leak of a winning doctrine, setup or fit can mean that the opponent has the time to prepare a hard counter. Where secrecy is not an option – large fleet battles with lots of matching losses for example – the aim can become to find a strategic doctrine that is extremely hard to counter until it gets nerfed out of the game or something else is buffed to counter it. The Loreseekers: There are many loose ends and unexplained mysteries in EVE’s backstory, and in the last two years, CCP have picked up a few of them and began to spin new story threads. 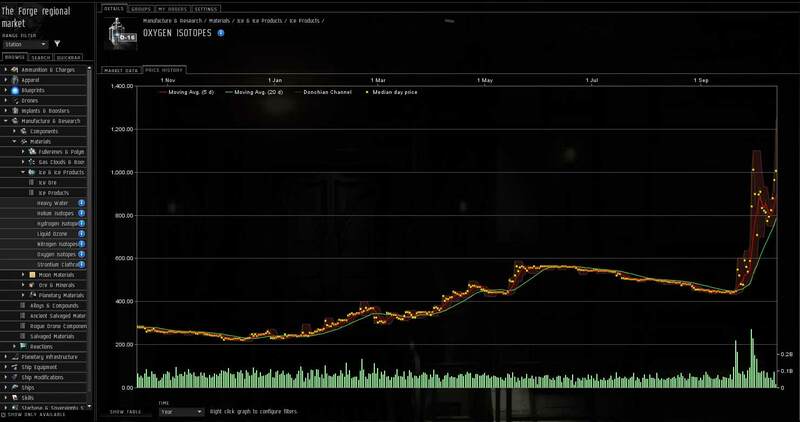 This has lead to a renewed interest in EVE lore and the players dedicated to researching it are no less committed than theorycrafters or market manipulators. The most recent article on Drifters by General Stargazer on our own site shows just how far people will go. Like others, they mine the test server and its database for new tidbits of information. Since many of them are at least paying lip service to the concept of in-character knowledge, they will not usually publish their gathered data in RP related forums like Intergalactic Summit. They will however discuss their findings way ahead of official releases and when they become canon on Tranquility, loreseekers will drop their whole body of research publicly and try to outdo each other with their analyses of previously available information. The Journalists: This demographic constantly follows the news EVE players generate. Be it in-game events or metagaming developments, the journalists are trawling all the blogs, threads, tweets and podcasts for a new piece of information that nobody else has made into an article or blog post yet. The journalist doesn’t have to be a newshound though. Sometimes it is just as fine to survey the EVE-related media landscape and find your niche that nobody else has covered yet. Being first out of the gate is not always a guarantee for reaching the finish-line as the winner in a contest for original content. No matter which strategy the journalist follows, they will always be watching the constant feed of information and opinion that is generated by the community in an effort to spin a yarn from it that is either timely, new or thought-provoking. The most daring will try to find leaks either from in-game organisations, the CSM or CCP themselves. In exposing information to the community they sometimes even risk being banned from the game for NDA breaches. The Tycoons: The only number crunchers who surpass the theorycrafters in terms of sophistication are those who play the market. They survey trends all across the game, seek out information about new developments and try to gauge how those will influence purchasing and selling behaviour. They create elaborate spreadsheets or even third-party applications to process the information gathered this way, but unlike theorycrafters and loreseekers, they don’t necessarily delve into the test server’s database. The mere news of change is often enough for them to develop new market strategies. In the most extreme cases, they will be people who try and get hold of insider information that only a CSM member or CCP employee could have, or they will use bots to react on price changes within seconds. Like real-life stockbrokers, those players are cued in to the market data generated by other players and try to be the first to react on a new trend with the right business strategy. The Power Players: Only a few players in EVE qualify for this category, but those who do have their work cut out for them. They are the leaders of major alliances, the bureaucrats, strategists and diplomats of coalitions. Hundreds or even thousands of other players will look to them for guidance and purpose. As such they need to stay ahead of the curve when game mechanics change and make sure that the many players who depend on them are guaranteed the same playing experience they have come to expect. The power players will apply any method available to them in an effort to maintain the cohesion of their constituency. That could mean rallying their players to a cause, strategically exploiting a weakness in the mechanics to force CCPs hand and in extreme cases even leveraging their position to gain favourable treatment from the developers. The Artists: If a player produces EVE-related art, they are walking a line almost as narrow as malefactors and journalists. 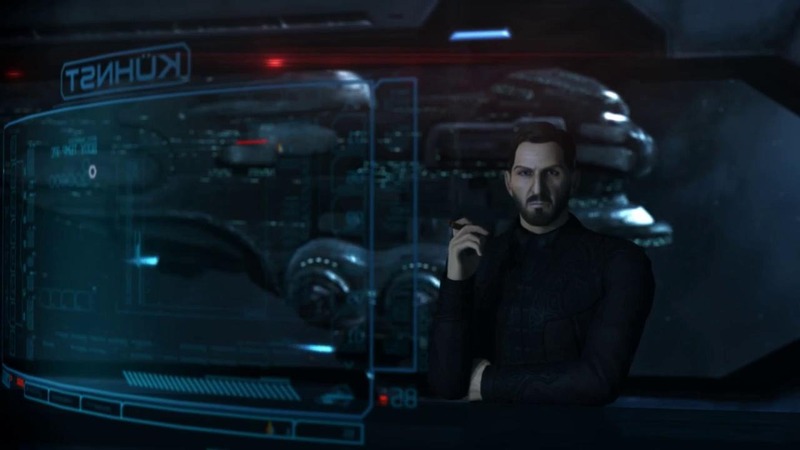 If they want their productions to be successful among EVE players, they have to create content based on CCP’s Intellectual Property (IP), which already results in a number of legal conundrums. Is it their content or is it a derivative work technically beholden to CCP’s IP? Can they charge money for it? Can they ask for ISK? What about third party copyright infringements like using designs and tunes by other artists for EVE-related spoofs. Apart from that, they also have to know which memes live among EVE players. Sindell Pellion’s “Makalu Cries” was a well-timed piece at its time, but no player who hasn’t been present during the days of the CFC/TEST war against the alliances of the South will know what it is about. The artist is constantly facing the pressure of creating timeless pieces which will endure even if the political landscape changes. The Content Providers: FCs, CEOs and others who want to gather players together in an effort to provide content face a difficulty similar to what power players have to deal with. They need to assess trends, evaluate developments and come up with new responses. Whether they are dedicated to NPSI roams or setting up a daring initiative like Phoebe Freeport Republic, they need to be aware of the mechanics, the sentiment among EVE players and the potential for change. Unlike power players, they often can’t rely on a previously loyal player community, but rather have to create one of their own. Originality and satisfaction for participants are the two main goals they have to achieve. In this they have to compete with many others who have a reputation to provide those things, whether justified or not. The greatest challenge for a content provider is to break through the mass appeal of others who already occupy a similar position. The Big-Game Hunters: Once players have most of their skills maxed and hoarded more ISK than they could possibly need, there is little challenge left but to try and kill the most difficult targets. 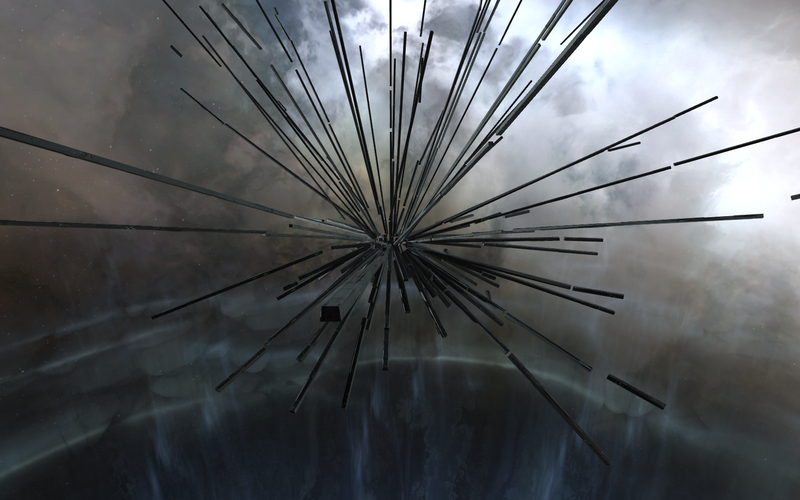 Extremely risk-averse supercarrier ratters screened by layers of intel channels, sequestered wormhole crews running site escalations in pimp-fit fleets or similar high-value and high-prestige targets are what they are after. They will work based on unsurpassed intelligence, crafty tactics and perfectly assembled hit-teams designed to take out their target before any response can be mustered. They may be bittervets who rarely log in, but many of them are still keeping tabs on incoming pings for those elusive perfect kills and drop everything to get on the job. Perfectly mapped out wormhole routes and bookmark stores that go back years to identify where supercap logoff POSes once were are just two tools in their extensive arsenal of obsessive tactical data gathering. Is All That Really Necessary? Most EVE players hail from societies where competitive innovation and being the first to catch on to a new trend are considered important in fashion, business, social status and of course gaming. While our parents or grandparents may have been fine with “doing things like they always did them”, our generation is almost obsessed with constantly outdoing each other. In saying this, I am not intending to make a case for conservative thinking, but there is a gradient on that scale ranging from being stuck in the past to trying too hard to be new and innovative. If we look at EVE, there sure are some fleet doctrines which have become obsolete by changes in mechanics, but is it really necessary to be the first to follow the new fleet meta? What if it turns out that some “old” doctrine actually works really well against a new one? Or how about a fit that is just universally good when applied correctly? 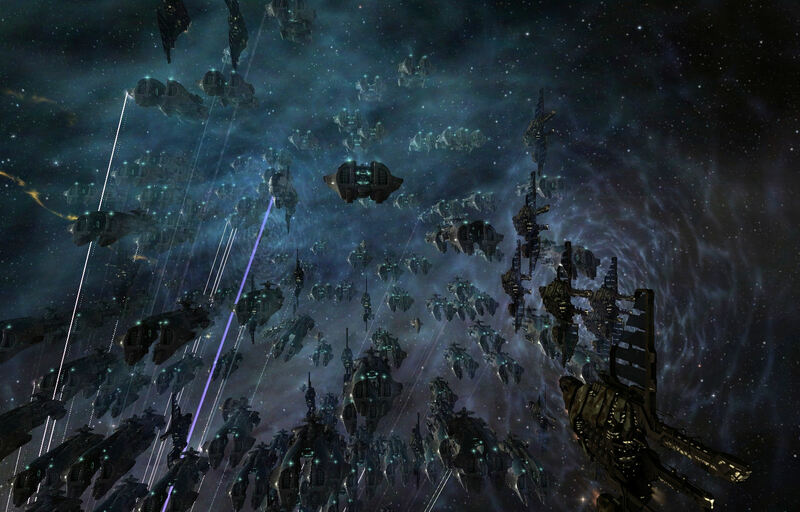 Many solo PvP players will often try to subvert the expectations of their opponents by flying ships that are not “trending”. Does that tell us something about how we are too obsessed with being cutting-edge? In my paragraph about the journalist I have mentioned the pitfall of being out too early with a news release. In the past, TMC have often outdone EN24 by presenting a more thorough and balanced analysis of a specific newsworthy occurrence after taking the extra day or two to do some research. In the area of market speculation it might be great to make it big as the first one to catch on to a trend, but the chances of betting on the wrong developments are just as high. I have often heard from experienced traders and industrialists that they build a lot of their income on very mundane but ubiquitously demanded goods, like certain ammo types. Today, I don’t know whether my characters are training a skill, I have missed out on the whole Blood Raider rage, and there is currently nothing I am making any money on. I haven’t even written a published article in quite some time, but am I really missing something because of that? Sure, I have it easy, I am just a guy in a small Factional Warfare alliance and nobody really depends on me, but isn’t that how the majority of people play EVE? This is a game which engages players to develop themselves over time. What is really at stake if one misses a few days of skill training, checking up on the news or being on top of the market trends? A few months or a year later it doesn’t really make that much difference, does it? Of course, others are bound to their groups. Power players and content providers are potentially the most unfree people in this game. For them, being tied to EVE and playing it on the very edge is what makes them who they are, but that doesn’t mean all of us have to be like that. Often the community looks down on casual players and those who don’t pull their weight while pushing the envelope of what is possible, but we can’t deny that this is a vast majority of players. Instead of alienating people like that by pushing them into a lifestyle that demands waking up in the middle of the night, neglecting friends, spouses, children and jobs, we could be more friendly and accommodating to the people who are not dedicated to the game like it is their main job. At the same time we can still be thankful for all the people who pour so much time and effort into making EVE the edgy and innovative collective experience it can be, but we can’t expect everyone to conduct their hobby or spare time activity with something bordering on obsessive compulsion.